The road to drug and alcohol recovery is never easy, but with the right detox, treatment and aftercare, it's possible for anyone to reclaim their life from substance abuse. Support Systems Homes is a network of California alcohol and drug treatment centers offering residential treatment, Suboxone and Subutex detox, and treatment for co-occurring disorders at their San Jose residential treatment center designed to facilitate success in sobriety. These stages, each one key to a phase of recovery, combine to provide addicts with the full range of recovery support. Accredited by CARF, the Commission on Accreditation of Rehabilitation Facilities, Support Systems Homes drug rehabilitation offers a full modality of highly individualized treatment. They offer detoxification, residential treatment, partial hospitalization (day treatment) and intensive outpatient programs. Whether dealing with meth, heroin, oxycontin, prescription pills or alcohol addictions, program specifics and lengths of stay are tailored to suit the needs of the individual. Clients will find that drug rehabilitation at Support Systems Homes offers a unique and effective form of treatment. First and foremost, clients are treated as individuals; they are given structure, but they are communicated with every step of the way. Through individual counseling sessions, classes and larger group settings at this San Jose drug and alcohol treatment center, clients receive intensive personal treatment and they soon become part of a community, finding support among fellow recovering addicts. They are cared for, supported and safe, and confidentiality is highly respected. Most of the staff members at Support Systems Homes are recovered addicts themselves, which adds an empathetic perspective when working with clients. Structured compassion is a key element to the recovery process at Support Systems Homes. This San Jose drug rehab center also offers opiate detoxification programs using Subutex, a buprenorphine-based medication approved for the treatment dependence on opiates—including heroin and prescription drugs—by safely managing withdrawal symptoms. Subutex detox is different from methadone treatment because it has a lower risk of abuse, dependence and side effects. Clients are supported and medically monitored throughout the entire detoxification process. At Support Systems Homes, treatment does not solely focus on detoxification. While taking the substance out of the body is important, taking the substance abuse pattern out of the life is the ultimate goal. SSH works closely with each client to help them in discovering a new way to live their life and give them the tools to live that life well. Call our San Jose facility at 408-370-9688 or visit the Support Systems Homes Website for more information. The San Jose residential treatment facility, the newly renovated Morrison Treatment Center, is located just outside of downtown San Jose and in close proximity to the San Jose International Airport, Caltrans, Light Rail stations and major freeways. A clean, modern coed facility, Support Systems offers a safe environment for recovering from drug and alcohol addiction. The staff is comprised of highly trained professionals, including Counselors, Chemical Dependency Techs, Nurses and an in-house Addictionologist with a background in Psychiatry who specializes in addiction and the recovery process, and provides medication management. The residential treatment living areas at this San Jose rehabilitation center are strictly gender-specific and feature a warm, safe atmosphere. The common areas are constantly monitored for client safety. All meals, which are prepared by a skilled chef, are provided. There is a community dining area where snacks, drinks and coffee are available throughout the day, and there is also a refrigerator that clients can use to keep snacks and meals brought to them by family or friends. Clients will find a full schedule each day during the program. Meetings, workshops and lectures cover everything from disease concept, the pharmacology of addiction and codependency to stress management, spirituality in recovery, and grief & loss. Also on the schedule are family group meetings, small case groups, 12-step discussions and meetings, and meetings exploring sober living. HIV education is offered, as well as bi-weekly HIV testing. Each day also has time set aside for relaxation and chores. Relapse prevention is a crucial element to the recovery process. Support Systems Homes features a variety of options for continuing treatment and relapse prevention after the residential facility. 18 sober living environments in San Jose and the surrounding cities offer secure, welcoming, drug-free environments for clients who need to transition safely from the higher levels of care back to day-to-day living. Professional and compassionate staff members at these Santa Clara County sober living environments help to facilitate the transition and provide referrals to community resources, professional counseling, court liaison services, extensive continuing drug and alcohol education and relapse prevention counseling. Lifetime aftercare is provided by Support Systems Homes since the recovery process does not end after an individual completes one of the drug and alcohol rehabilitation programs. Weekly aftercare programs are available upon completion of the residential, day or outpatient programs, with experienced counselors who assist clients in meeting goals, exploring successes and managing obstacles. The group environment of these meetings also provides clients with a continuing network of communal support. 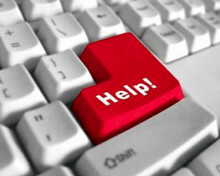 Call Support Systems Homes now for help. 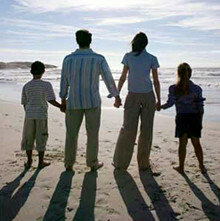 Through the recovery process, bring your family and life back together.